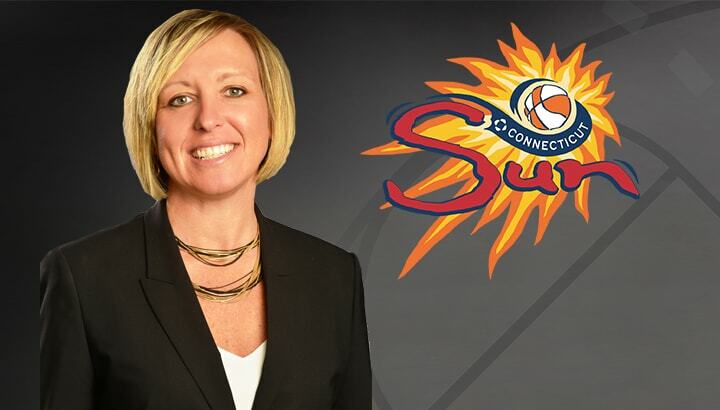 UN CASVILLE, Conn. (October 13, 2016) – Mohegan Sun announced today that Amber Cox has been named Vice President of the Connecticut Sun and New England Black Wolves. She will be responsible for the overall operation of both franchises. Cox joins the Sun and Black Wolves after serving as the Chief Marketing Officer of Major League Soccer’s Houston Dynamo since January of 2015. During her tenure, Cox oversaw all aspects of the marketing, broadcast, branding, digital/social strategies, media relations and community relations for the Dynamo, Houston Dash of the National Women’s Soccer League, BBVA Compass Stadium and Houston Sports Park. Prior to Houston, Cox was the Associate Commissioner for Women’s Basketball at the Big East Conference for two years, managing all aspects of the 10-team league, including scheduling, officiating, television, branding and marketing. Cox joined the Big East after nine seasons with the Phoenix Mercury, where she began as the Director of Marketing in 2005. In that position, Cox employed tactical grassroots efforts as well as social and digital strategies to build the Mercury fanbase, and she helped secure the first marquee jersey sponsor in WNBA history through a ground-breaking partnership with Arizona-based Lifelock in 2009. In her final two seasons with the Mercury, Cox held the dual title of President and Chief Marketing Officer, overseeing all business and basketball operations while earning recognition for her success in the Phoenix Business Journal as one of its Forty-under-40 Class of 2012. Cox directed the marketing and sales initiatives behind the selection of Brittney Griner as the No. 1 overall pick in the 2013 WNBA Draft, an effort that resulted in record-setting sales, website viewership and media impressions. A Missouri native, Cox spent five years prior to joining the Mercury as the Assistant Director of Athletics in charge of media relations and development at Columbia (Mo.) College. She administered statewide marketing strategies to promote five sports and built internal promotion programs targeting students, faculty and staff. Her duties also included managing the sports information office and game operations, as well as serving as coordinator of the athletic department’s fundraising and community relations efforts. Before Columbia College, Cox was an account executive at Visionworks Marketing and Communications, a Columbia-based full-service adver tising and marketing agency. She supervised all phases of development plans for the firm’s client base. Cox earned her bachelor’s degree in communications/journalism and master’s degree in business administration from William Woods University in Fulton, Mo.